Hyperion Entertainment Message Boards • View topic - Amiga OS 4.1 FE 4GB ram support? Amiga OS 4.1 FE 4GB ram support? But in the information it says there should be support for more as 2GB. As I have 4GB in my X1000 I was thinking the WB should show 4Gb now, but it only shows 2GB? Is the SWAP partition needed for the >2GB support? Do I need to do more to make the SWAP partition work in case it is needed for the bigger ram support? Re: Amiga OS 4.1 FE 4GB ram support? It will allways show 2GB ram, if you have more ram it is only available to software that uses the new API. I get my Radeon1.2 with AmiSphere. So I think its free for X1000-Users. 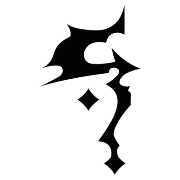 BTW, there is no such thing as a 4.1.6 FE. 4.1.6 is the colloquial name some people use for AmigaOS 4.1, update 6. This was what you had before (I assume), plus a number of smaller updates delivered through AmiUpdate. 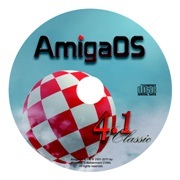 The new release is called AmigaOS 4.1 Final Edition (often shortened to FE). So the Update 6 has now been superseded by the Final Edition. As for registrations, you probably had a registration of your original OS 4.1 and have now made a new, separate registration for your Final Edition, using the serial number on the back of the leaflet. Correct? (If not, you won't be able to get future updates through AmiUpdate for FE). Delete the swap partition, X1000's do not use it. On machines with less ram the swap partition allows them to access memory locations where there is no physical ram in an emergency. The X1000 already has physical ram in all memory locations so swap will never be used. If you have the real Radeon HD driver install or can download it from AEON, you better replace it then FE demo one, its less limited. Yes, newer RadeonHD drivers arent free. I just wonder when items from Quickstart guide page 5 will be in download area. On memory: It does not see above 2GB mem but your RAM disk can handle more since FE. I do have a feeling memory is just going down Glad to have that 2GB+. Hope it will be improved. That blog entry is bone old...has this feature been introduced in the customer version of AmigaOS4 yet?